Assura ColoKids 1-Piece Pediatric Closed-End Pouch Cut-to-Fit Flat 5/8" - 1-1/2"
The Assura® Pediatric One-Piece Ostomy bag provides one-of-a-kind adhesive that is gentle, providing excellent peristomal protection. Soft cloth backing on pouches keeps skin cool, dry and free from irritation. Anti-reflux valve keeps urine from pooling at the base of the stoma, preventing peristomal irritation. The adhesive on the Assura® 1-piece colostomy pouches consists of two different adhesives that are layered and rolled into a unique spiral structure. 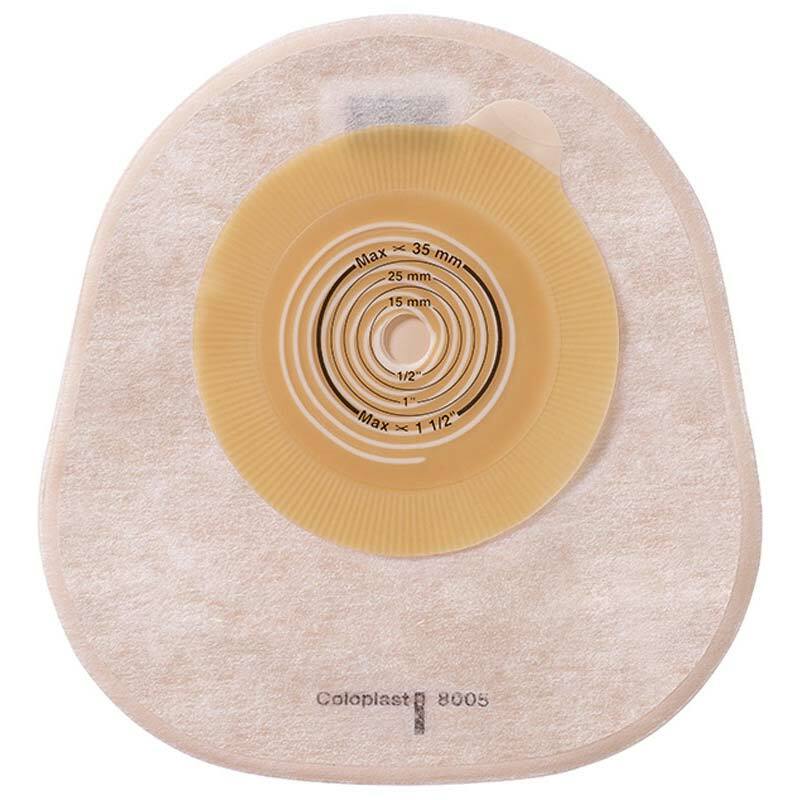 The oval shape of the skin barrier provides a flexible cutting area and increased adhesion at the sides and below the ostomy where it is needed most. To eliminate “fall over” of the pouch, and to increase the capacity without enlarging the pouch, the skin barrier is placed at the top of the pouch. The airflow through the filter makes ballooning less frequent and eliminates unpleasant odor. The shape of the pouch is anatomical, making it even more discreet and comfortable to wear. Premier SoftFlex 1-Piece Drainable Pouch, Ultra Clear, 2 1/2"